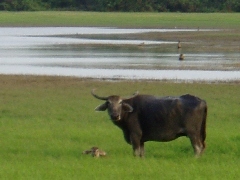 Sri Lanka has many National Parks giving sanctuary to an abundance of species of fauna and flora over the small island. 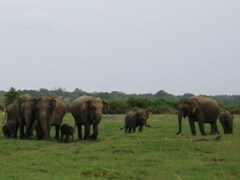 Safaris in Sri Lanka provide you with an excellent insight into the wildlife, scenery and culture of Sri Lanka. 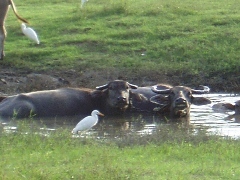 Whilst on safari we should be lucky enough to see lots of animals- Elephant, Water Buffalo, Deer, Sambhur, Peacock and various birds. It must be a memorable adventure for you. We offer safaris to four destinations, Kaulluda National Park/Minneriya National Park/Hurulu Eco Park at Habarana/Watsugamuwa National Park, and provide jeep hire, driver and pick up service in our price. Prices are realistic with no hidden costs and not changed by season and time. By direct ordering to us via internet, you can cut the margin costs through travel agencies. 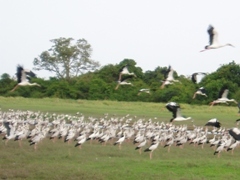 Besides, we owns privately safari park near by the Parakrama Samudra, a huge artificial lake in Polonnaruwa, you can also enjoy safari without crowded jeep lines. However we never cut commitment to quality. We offer a good price with good value. ** National Park Entrance Fees are at July/2017 and for your reference. It may change without notice by Department of Wildlife Conservation. Service charge, Vehicle Fee and VAT by goverment will be added to the above Entrance Fee. 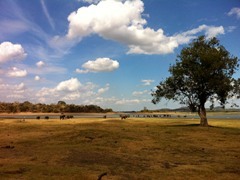 Note: Our safari tour prices DO NOT INCLUDE National Park entrance fee. We request guests to pay national park entrance fee by themselves at the park. We take you to the park ticket office at the entrance. 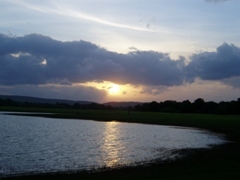 (*) Night Safari is operated only in Polonnaruwa Private Park. Our price include pick up service. We pick you up at your staying hotel/guest house at above starting time and get you back to same place after tours. This service applies only to accommodations located in Polonnaruwa/Giritale/Minneriya area (Not in Habarana and others) If you would like to make you drop at the next destination out of Polonnaruwa/Giritale/Minneriya. We can do with extra charge. Please ask us in advance.